Notes for this Bible study are below the teaching video…. Galatians 3:1-14: O foolish Galatians! Who has bewitched you? Before your very eyes Jesus Christ was clearly portrayed as crucified. (2) I would like to learn just one thing from you: Did you receive the Spirit by works of the law, or by hearing with faith? (3) Are you so foolish? After starting in the Spirit, are you now finishing in the flesh? (4) Have you suffered so much for nothing, if it really was for nothing? (5) Does God lavish His Spirit on you and work miracles among you because you practice the law, or because you hear and believe? (6) So also, “Abraham believed God, and it was credited to him as righteousness.” (7) Understand, then, that those who have faith are the sons of Abraham. (8) The Scripture foresaw that God would justify the Gentiles by faith, and preached the gospel to Abraham: “All nations will be blessed through you.” (9) So those who have faith are blessed along with believing Abraham (10) All who rely on works of the law are under a curse. For it is written: “Cursed is everyone who does not continue to do everything written in the Book of the Law.” (11) And it is clear that no one is justified before God by the law, because, “The righteous will live by faith.” (12) The law, however, is not based on faith; on the contrary, “The man who does these things will live by them.” (13) Christ redeemed us from the curse of the law by becoming a curse for us. For it is written: “Cursed is everyone who is hung on a tree.” (14) He redeemed us in order that the blessing promised to Abraham would come to the Gentiles in Christ Jesus, so that by faith we might receive the promise of the Spirit. Galatians 3:14: He redeemed us in order that the blessing promised to Abraham would come to the Gentiles in Christ Jesus, so that by faith we might receive the promise of the Spirit. Then ALL men born after the cross were to simply live in the freedom of life in the spirit – of Christ IN us, AS us and flowing through us with NO knowledge of the Mosaic law whatsoever. So what is THE Curse of the law? 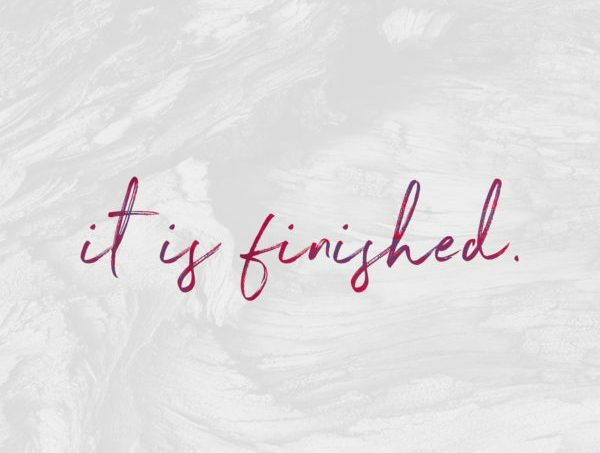 Paul is relaying to them that they are not held in custody or kept under the law anymore — that was a repeated action of the PAST – before the cross. and the curse of the law was that it couldn’t justify them! Heb 1:3 tells us that we’re to have no more consciousness of sin (the condition) because we have been purified! realizing that ALL the effects (sickness, disease, lack, etc.) were done away with when the cause (condition of sin) was done away with — 2000 years ago!! For example…. if Christ only died for my sins (plural) I’m forgiven but unchanged! Hebrews 9:14: HOW MUCH MORE shall the blood of Christ, who through the eternal Spirit offered himself without spot to God, purge your conscience from dead works to serve the living God? by choosing life their experience would be abundant life and not the manifestations of death — sickness, disease, poverty, lack, fear, etc. And in that place (that Paul calls NEW LIFE) there is NO SICKNESS, NO DISEASE, NO LACK, NO FEAR, ETC.